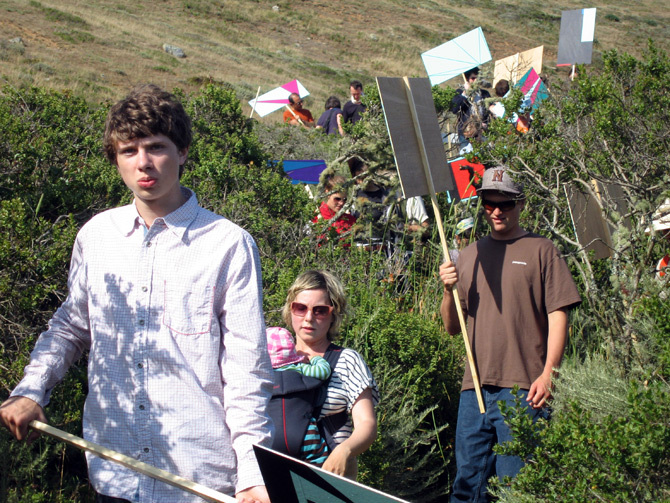 Jacob Dahlgren, who also enacts his signature daily performance of wearing striped t-shirts, stages a peaceful protest through an idyllic California mountain trail, where a small group carries pole-mounted recreations of Swedish abstract painter Olle Baertling’s works. These paintings become signs, and those who bear them participate in both “protest” and absurd juxtaposition. 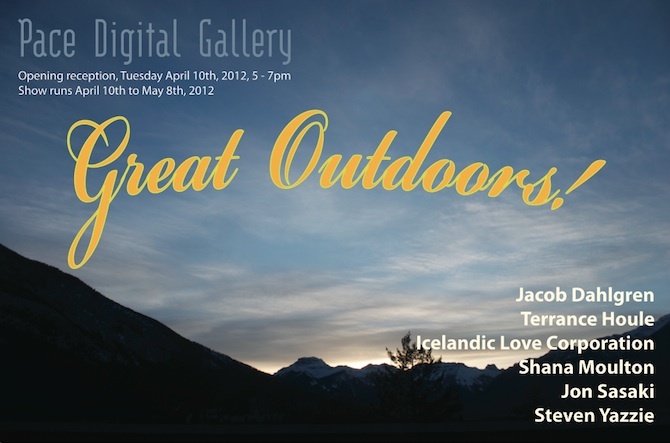 Known for hijacking stereotypes to hilarious effect, Terrance Houle exploits his First Nations identity, donning traditional costume and performing a set of translated hand signs as he takes us on a personal and cultural mini-tour of street, beach, and park. 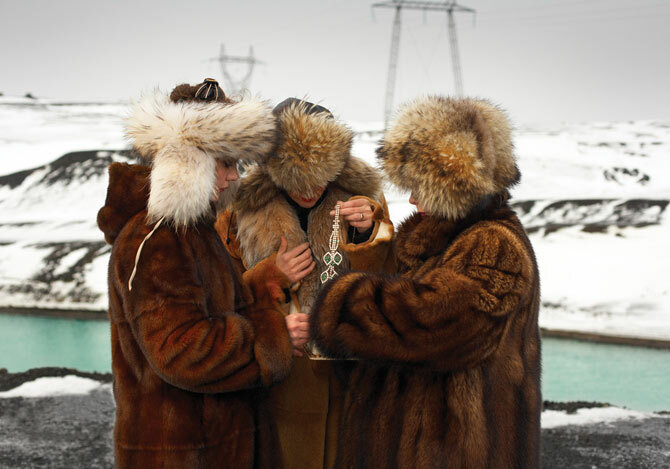 The Icelandic Love Corporation re-imagine themselves as three ladies of luxury, reposed in the final days of a global ice melt - here we find them amidst a stunning landscape singing, hunting, and enjoying the finer things. 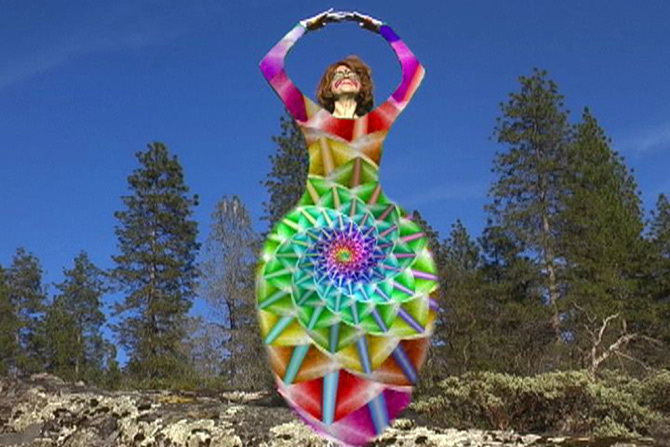 Shana Moulton’s alter ego, a middle- aged recluse named Cynthia, finds comfort in the magic of Avon branded crystals and palmistry, which free her from her doldrums and send her on a rapturous multi-coloured romp through the forest. 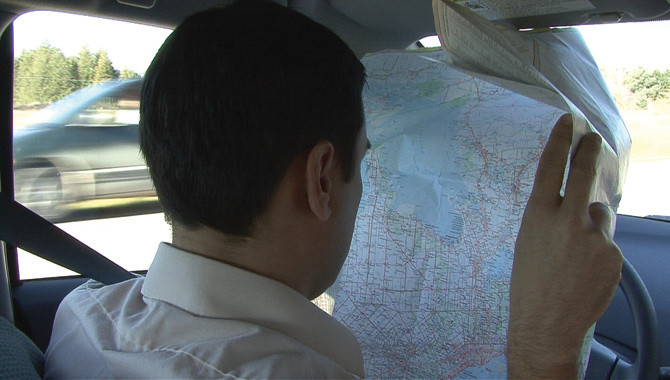 Jon Sasaki’s “everyman” drives his car on the highway, unfolded map in hand. This activity seems quaint in the age of smartphones and GPS, but when he fails to watch the road ahead and his car does not collide, his protection is suspect; we can’t help but wonder - what is the trick? 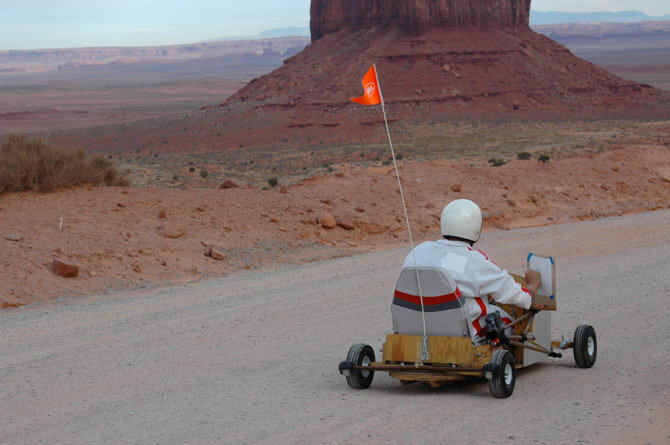 Steven Yazzie’s handmade go-cart trails into Monument Valley, where man and vehicle become a veritable drawing machine. The result, frenetic line renderings of the iconic landscape, are fraught with tension not unlike that heaped upon the historically charged landscape itself.